NEW YORK, NY--(Marketwired - Feb 16, 2016) - Counting Parrots, a new educational math app for kids by Yingele, announces today it complies with Children's Online Privacy Protection Act (COPPA) and enforces regulations concerning children's online privacy. The app is available for download with two versions: free and extended for $5.99 on the App Store, Google Play and Amazon. 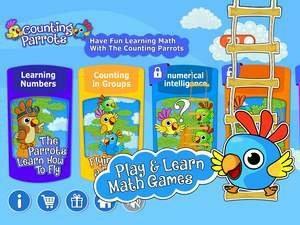 Joseph Bloomshtein, "Counting Parrots" developer and CEO of Yingele, noted, "Our focus and efforts have always been dedicated to the educational aspects and experience that children can get by playing our games. Therefore, we see great importance in following COPPA regulations and providing safe, private and educational app all together."